Jamie Dimon is warning that government regulations could make it harder for banks to respond in the next financial crisis. "Some things never change," the CEO of JP Morgan writes in a 39-page annual letter to shareholders on Wednesday. "There will be another crisis, and its impact will be felt by the financial markets." Dimon describes how investors typically react in a crisis, rushing to sell problem assets and stocking up on safe havens, such as U.S. Treasuries. It's the classic "run-on-the-market phenomenon," he adds. 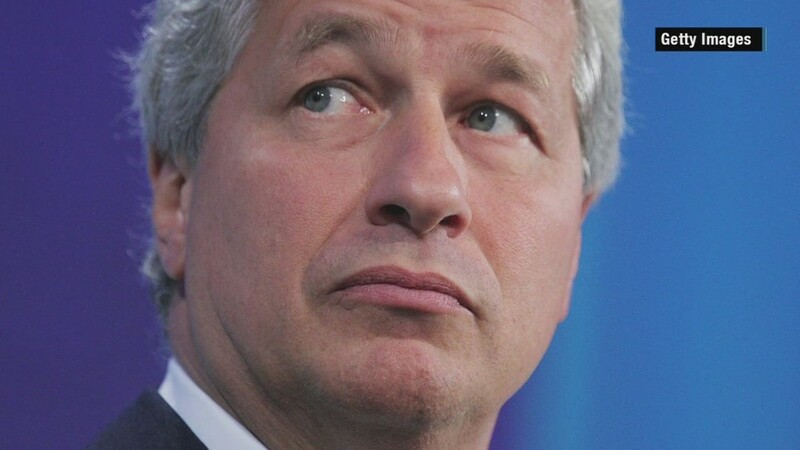 In what he calls a "thought exercise," Dimon speculates about how new banking rules put in place after the 2008 crisis might play out when there's a run on the market. While he says the financial system is much stronger than it was in the past, Dimon suggests that higher capital and liquidity requirements could have unintended consequences. Essentially, he argues that banks would be less nimble in a crisis because they have to hold more cash in reserve and are unable to take certain risks. For example, he says healthy banks like JP Morgan (JPM) may be reluctant to accept deposits during a crisis because they would be considered short-term in nature and would cost banks valuable capital under new leverage rules. He also notes that during a crisis many people tap lines of credit to have cash on hand just in case. Under new rules, this would make it appear that the bank is holding more risky assets and could "force banks to hoard capital." In the next crisis, he says healthy banks won't be able to buy and hold securities or loans because of limitations on the amount of risk they can take on. And banks won't be able to underwrite stock offerings during a crisis because it would use capital they need to hold under new rules. Dimon also suggests that the new rules make it more likely that "non-bank lenders" will step in to lend money "at exorbitant prices that take advantage of the crisis situation." Of course, Dimon has some advice for regulators on how they could improve the situation. He says they could allow banks to provide liquidity cash on a "graduated basis" and accept more forms of collateral. "That is, they can give themselves both gas and brakes; i.e., change liquidity rules to fit the environment," Dimon concludes.